When someone's beliefs about themselves (usually a physical component of their body) is very irrational and extremely skewed, we say they have a dysmorphia. These "dysmorphias" are symptoms of social anxiety, in this context. In a broader psychological context, a person may have body dysmorphic disorder (BDD) independently of social anxiety disorder. This term is used in different ways, but in the context of social anxiety disorder, a "dysmorphia" is a strongly held belief about oneself that is irrational and completely unfounded, although the person strongly believes that it is true. For example, when I was in my 20s, I truly believed I was an ugly person, repugnant to look at, and completely undesirable to any other person. This is something I strongly believed. I did not know at the time that I was being irrational. I thought it was the truth. Other words I used to describe myself at the time were sickening, revolting, nauseating, and awful. One of the reasons I could not make friends, I thought, was because I was so very ugly. Now, this was not an accurate or rational belief on my part. But, I strongly believed it nevertheless. It had been introduced and reinforced by my father several times every day when I was a teenager. I found myself sinking lower and lower and believing many of the things he said. Many people told me I was wrong, but I completely pushed aside, or discounted, their appraisal. I was positive that my physical appearance was horrendous and that I was beyond disgusting. My father's criticisms and judgments were to haunt me for many years to come. Looking back on this period of my life, I can clearly see that my thinking was not correct, I was not being rational, and what I believed about myself was, in fact, quite ridiculous. However, at the time, the strong belief that I was horribly undesirable fed and fueled my social anxiety and made everything in my life worse for me. Note: My condition was not "body dysmorphic disorder" (BDD) because it is better explained in context of my social anxiety disorder. If I had not had all the other symptoms of social anxiety, then body dysmorphic disorder might be an accurate diagnosis. One of the brightest young men who ever went through therapy at SAI was thoroughly and completely convinced he was stupid. Nothing I could say or do (and nothing anyone else could tell him) changed this strong belief he had about himself. This person took several independent, individual intelligence tests and scored an average of 125-130, which is in the "superior" range of intellect. Yet, he always found a way to "discount" or negate any independent assessment of his intelligence that was positive. As a result, he saw almost everyone else in the world as being more "intelligent" or "brighter" than he was. This, in turn, fed and fueled his social anxiety and its related symptoms (e.g., lack of self-esteem, feelings of inferiority). He constantly compared himself to other people, and always found he was inferior in some sort of knowledge. 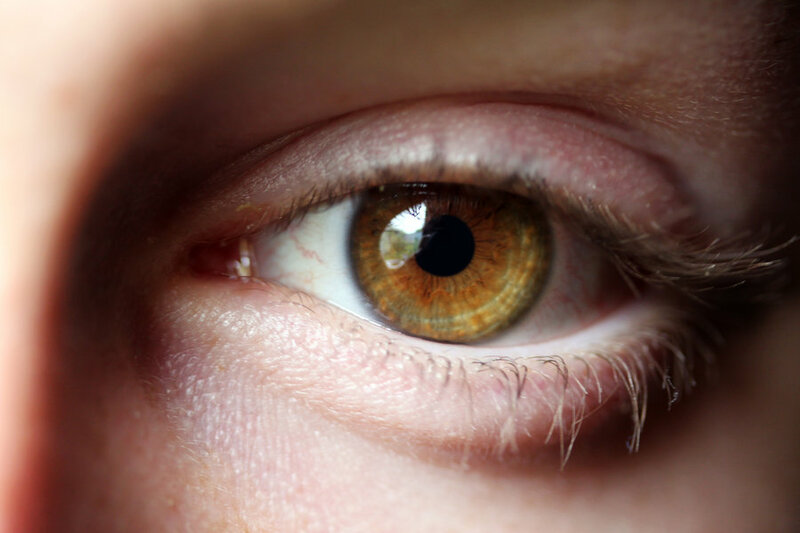 In this severe form of an eye contact problem, people believe they are causing others to be uncomfortable and anxious because they cannot establish direct eye contact. Sometimes, the person is convinced they have an "evil eye" or a "bad look" or "vibe" about them that makes it difficult for other people to look at them or talk to them. "I know I am sending out weird and psychopathic signals of some kind", even though "I don't know exactly what I'm doing", a person said. This goes well beyond typical "eye contact problems" that many people with social anxiety have. There is a solution to even these more stubborn and irrational social anxiety dysmorphias. The solution lies in helping people to see themselves and the world around them more rationally. This is an easier-said-than-done process, and it is a difficult process, but it needs to be done through what we call "Turning The Tables on ANTs". Another way to state this is that people with social anxiety, who also have dysmorphias, must be taught (and be willing) to go "neutral" with their thinking, thinking habits, beliefs, and belief systems. They must be willing to at least consider the fact that maybe, just possibly, they may be slightly wrong. The use of all those conditional words in the previous sentence was intentional. Why? Someone with social anxiety who is also dealing with dysmorphias must be taught to be a "truth seeker" or a "rationality finder". They must take a step back, be willing to say it is possible they could be slightly wrong, and then be encouraged to rationally test things out. This is a process that takes time and patience. Nothing occurs over a short time frame. However, the more a person considers that they may have inaccurate beliefs about themselves, the more the brain will have a chance to become more rational. A gradual movement of thoughts and beliefs -- away from total irrationality -- and toward rationality, through the use of conditional thinking, helps people with dysmorphias to get better.